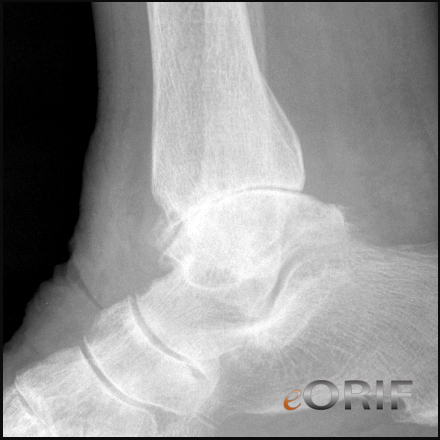 A/P, Lateral, and Mortise Ankle. 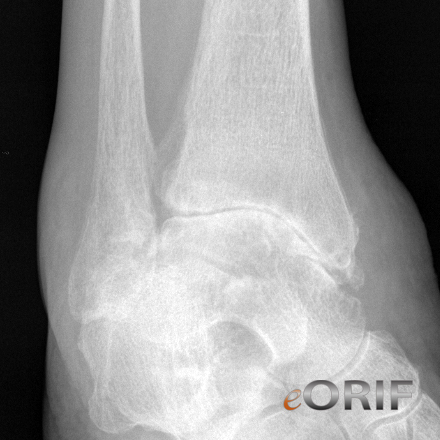 Consider A/P, Oblique, Lateral foot xrays. Loss of jiont space, subchondral sclerosis, subchondral cysts, osteophytes, loose body, malalignment. Evaluate for subtalar arthritis. 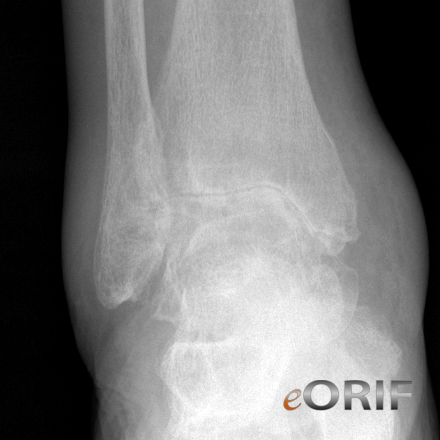 -alters gait, ipsilaterl adjacent joint arthosis (Thomas R, JBJS 2006;88A:526). -Arthroscopic technique (Winson IG, JBJS 2005;87Br:343).